Bennie C’s Boutique has a number of affordable, simple, and beautiful clothing choices. I enjoy finding these little boutiques because then you end up with unique pieces you don’t see on everyone else. Here I go again – expanding the maxi dress section of my closet. And I don’t mind one little bit! 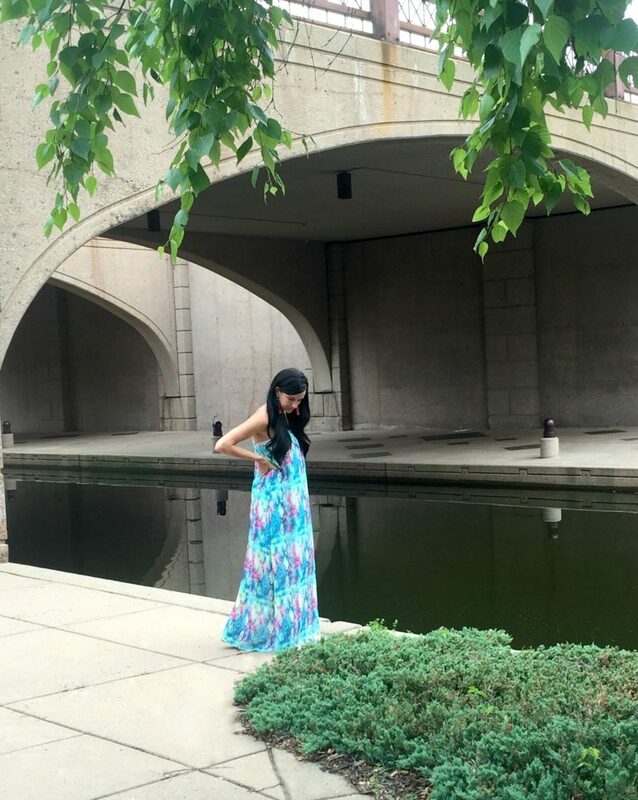 The vibrant colors in this maxi make it stand out in any crowd. It is a perfect choice for a warm, summer day as the material is light-weight, and it has side slits to the knees on both sides. The dress is lined, which is nice so you don’t get stuck trying to wear a slip on a hot day. I found wearing a bandeau helped me feel comfortable and modest, and you could easily choose a lace one, or a bright colorful bralette, too! For today only (June 19th), this dress is 20% OFF with code FASHIONISTA20 at check out! This deal ends at midnight CST. *This post was created in collaboration with Bennie C’s Boutique. All opinions are my own.